John L. Buehler, former President of the AHS and pioneer of the helicopter industry, passed away on November 29, 1982 at the age of 71. In 1933, Buehler founded Indiana Gear Works, a manufacturer of precision engine gears. Over the years the company grew rapidly and became one of the leading producers of gears and parts for helicopter engines and transmission, including high precision power transmission gear boxes, accessory drives, actuators and ultra high precision gearing. Buehler's area of expertise was i n metallurgy and eat treating of materials and led to many of the advances in engine sub-assemblies. 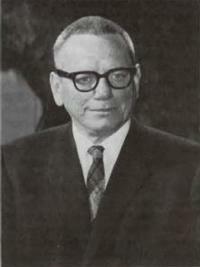 In 1964 he served as President of the American Helicopter Society and in 1965 Chairman of the Board.